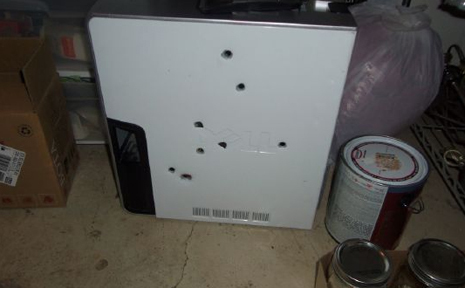 According to an article in The Smoking Gun, a Colorado man became frustrated with his computer and 8 rounds into it. Hire me to fix your computer instead of resorting to lead. The guy operates a “homeopathic herb store” in Colorado.. Hmmmmmm I wonder if he was going to eat the computer..